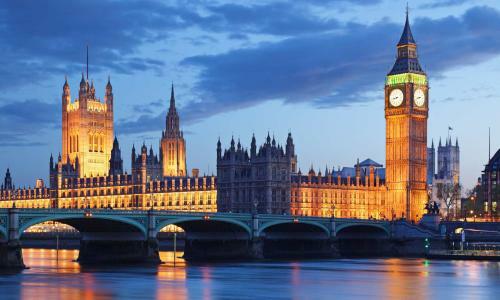 With more than 20 years experience in credit transfer programs, KOM Consultants is Canada’s foremost leader in Community College Transfer pathways into UK, Irish and Australian universities. KOM have, and continue to be, instrumental in developing innovative articulation agreements between Canadian Community Colleges and Australian, Ireland and UK universities. Transfer credit pathways have been designed for 2 and 3 year Diploma holders, Graduate Certificate students and Applied Degree graduates from Canadian Community Colleges. 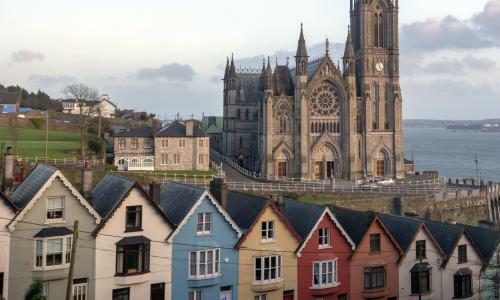 As the official Canadian representatives and application centre for select Australian, Ireland and UK universities, KOM has been carefully appointed as your in-country contact assisting you through all your credit transfer planning needs. From initial questions to application procedures, housing, study and work rights as a student, financing, travel options, KOM know whats needed to get you there. Canadian applications to these select universities are submitted via KOM Consultants. Applying to university can be confusing and frustrating, especially when seeking credit transfer with an overseas institution in the UK, Ireland or Australia. KOM works closely with Canadian Colleges and our overseas partner institutions ensuring maximum transfer credit is given. Its critical students know what’s required when applying, and how to go about it. That’s where we come in, and here’s what we do. In-country application centre saving you high international mailing expenses. All application documents are mailed locally to KOM in Canada. We do the rest for you. …… and so much more. KOM’s personalized approach and attention to detail saves students money and headaches when seeking university credit transfer programs in the UK and Australia. The short answer; to fast-track qualifications making you job ready sooner. Students often don’t realize how much credit our overseas universities will award for Canadian College qualifications. 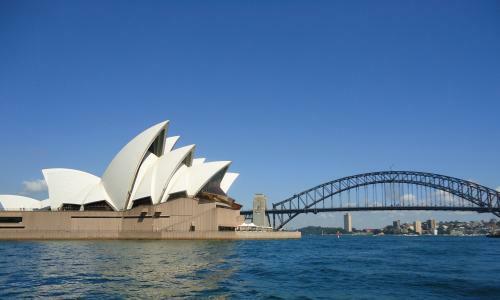 Generally speaking, a three year advanced diploma graduate can obtain an undergraduate degree in Australia, Ireland, and the UK in just one academic year. Two year diploma graduates usually study for one and half years to obtain a relevant undergraduate degree. KOM also provide Applied Degree graduates and Graduate Certificate holders from Canadian Colleges direct entry into a suite of Masters Program’s through our Australian, Irish and UK universities. One of the key benefits of studying overseas is the shorter time required to complete your qualifications. Taking this into consideration, the overall costs associated with international studies are often comparable to domestic study expenses endured over a longer period of time. In most cases, overseas studies will allow students to graduate sooner than Canadian university transfer options. The quicker you complete your qualifications, the quicker in the workforce earning money! Make Yourself Standout – With employment opportunities for graduates becoming increasingly more competitive, employers are now looking beyond someone’s academic background – they want the whole package: the appropriate formal training, the right skill-set, life experience, a self-starter with problem solving skills and the ability to be creative. Students who study overseas gain these qualities setting themselves apart from others. Do you want to study at a world-class university with international reputations? Do you feel passionate about combining university with real-life experiences? Do you want to fast-track qualifications putting you in the job market sooner generating money? Do you like the idea of immersing yourself in a new culture and country? Do you like the idea of standing out from the rest? Do you feel excited about making friends from around the world? 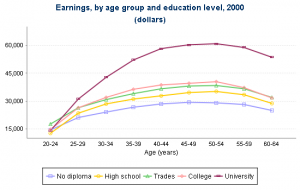 Over the span of a career, earnings tend to increase with time, peaking around the ages of 50 to 54. In 2000, the median income for seniors with a post-secondary diploma was higher than the median for all levels of education. 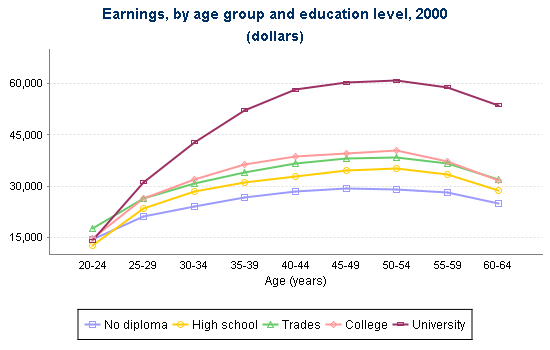 For university-educated seniors the median income was close to $40,000. 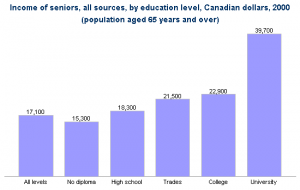 Seniors with lower levels of education relied more on Old Age Security benefits (OAS/GIS) as a source of income.